A San Jose community marched through the city Friday night demanding justice for a man who was stabbed to death outside of his home six months ago. Ian Cull reports. 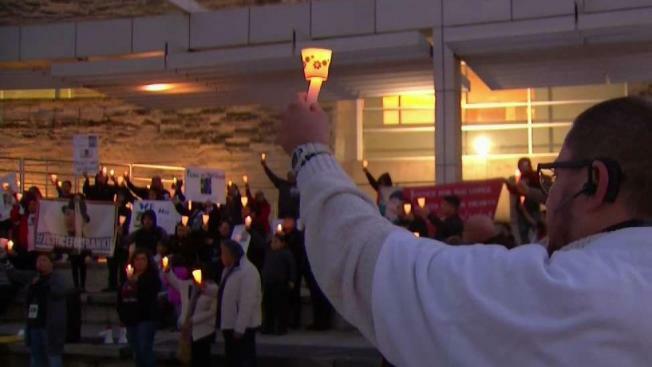 A San Jose community marched through the city Friday night demanding justice for a man who was stabbed to death outside of his home six months ago. Frankie Santos, a young father of two, was attacked on Sept. 2 and police have yet to make any arrests. "I am Frankie’s voice and I’m a determined mom that’s not going to give up," said Santos’ mother, Erica Rego. Police are still looking for a truck seen in the area the night he died, a 2004 or 2005 Nissan Titan. 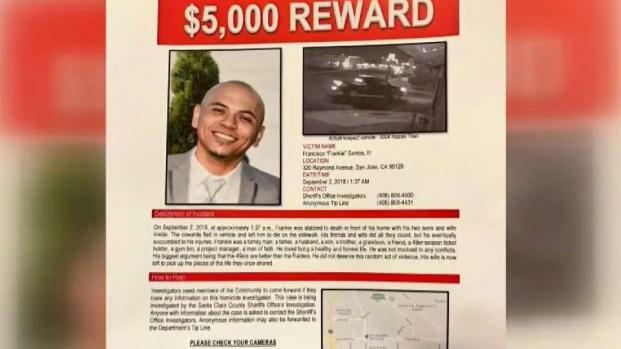 Santa Clara County sheriff's detectives have identified a vehicle they hope will lead to a suspect in the fatal stabbing of a San Jose father of two in front of his own home in September. Ian Cull reports. "He was raised with respect, integrity, morals and values," Rego said. "For something like this to happen to him is devastating." Investigators were offering $20,000 for any information leading to arrests but increased it thanks to a $10,000 donation by a foundation and Santos’ employer. "We’re hoping this is going to make a big difference and somebody’s going to call," Rego said. Santos’ family recently started a foundation in his name to help the families and children of murder victims for those holding on to hope for justice. "We can’t allow a human being to just be stabbed to death while his children and wife are inside the home, his friends are outside," said Margaret Petros from Mothers Against Murder. "Six months go by and nothing." Anyone with information is asked to contact the Santa Clara County Sheriff's Department or Silicon Valley Crime Stoppers.